It’s mid-April, which means summer travellers have either already booked their flights or are in the throes of finalizing their plans. If those travels include Europe, recent events may have caused some to second-guess their destination or even cancel their travels altogether. But for those who are going to see it all through regardless, there are a few things that can be done to minimize the risk without minimizing the experience. It’s enough to make you want to stay home—not that I would ever allow recent tragic events to have a massive impact on my own travels. As I mentioned the other week, the chances of being caught in a terrorist attack even during these seemingly dark and dangerous days, is still extremely remote. And if you heed that government warning literally, it’s probably not worth going anyway: no sightseeing, no shopping or eating, no sports events or concerts and no staying in hotels. That doesn’t leave very much. Indeed, many major hotels in “high-risk” areas now employ airport-style security to gain entrance to their lobbies, concrete bollards to keep unchecked vehicles away and armed guards throughout. But they’re still big and inviting, and if you insist on travelling this summer, there are a few things you can do at least as far as accommodation is concerned. If you tend to lean towards staying in brand-name international hotels during your travels, try to never take a room particularly close to the lobby or directly above the main entranceway. If there’s going to be an attack, it’s likely to be from that direction—that’s what happened at the Islamabad Marriott and the Paradise Hotel in Mombasa, Kenya. Instead, try a room toward the back or overlooking the swimming pool or gardens—but not the car park or an external roadway, for example. It’s advisable not to be too close to the ground floor yet not so high as to be unreachable by rescuers if the unthinkable happens. It’s often wise to request a room close to the emergency exit on your floor in case you have to make a quick escape. Just be sure that you know where that emergency exit is once you check in. Finally, make sure that your clothes, wallet and all travel documents are always in the same place in your room for quick access, and that your phone or laptop is always fully charged. I also always keep a small flashlight on the bedside table everywhere I go in case of power cuts and I have the address and telephone numbers of the nearest consulates and embassies handy. This may seem like something out of an over-the-top Hollywood movie, but in the highly unlikely event that something does happen, you may be very grateful for a few careful preparations. Big hotels are big targets, which makes some travellers avoid them altogether. While out-of-the-way smaller properties may indeed be less attractive to attention-seeking terrorists, they generally also have less security, which can make them vulnerable especially if known locally to be frequented by overseas visitors. 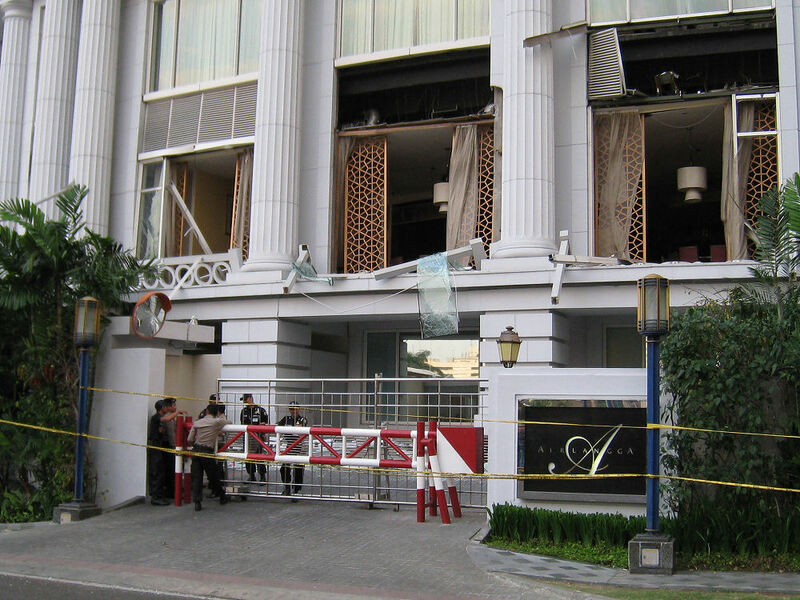 Such was the case when eight people were injured by a motorcycle bomb targeting the budget Top Asia Hotel in Sungai Golok, southern Thailand some years ago, and when others were injured during an attack on several budget beach camps near Taba, Egypt. Don’t assume that a small hotel, budget property, suburban property or even a youth hostel can’t be targeted. If you are somewhere in which you believe you have reason to be genuinely concerned for your safety, use the same precautions for any accommodation you may choose, not just for the big multinational properties. If this all sounds a bit alarmist, the statistics tend to justify that skepticism, but sadly there is a risk involved with travel today that wasn’t so pronounced a decade or so ago. While your chances of having a problem remain slim, as with everything else in life, it’s always better to be prepared.